The Healthcare Administration concentration is one of two programs in the Health Science department at Methodist College where students can earn a Bachelor of Science in Health Science. The Bachelor of Science in Health Science Healthcare Administration & Management concentration will prepare you to become a leader or manager within a healthcare organization, as well as prepare you for graduate studies. The curriculum provides insight into administrative practices including strategic planning and change management, supervision, policy and fiscal responsibility, and quality assurance. Health care ethics, client rights and safety and regulatory compliance are also addressed within the curriculum. All students will have a culminating project designed to enhance their knowledge and skills in the role of research and its relation to health care delivery or health care administration. 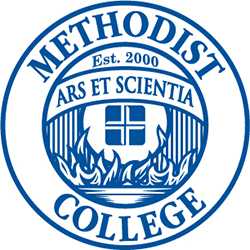 Methodist College also offers a Bachelor of Science in Health Science degree for individuals who already have an Associate of Applied Science degree in Allied Health or 30 credit hours in healthcare courses. For more information about the complete program, click HERE. What will I learn in the traditional Bachelor of Science in Health Science - Health Care Administration program? Upon graduation from the program, you will be prepared to contribute as a functioning member of a healthcare team in a management role, including the supervision of personnel, strategic planning, and organizational operations. Basic legal and ethical principles will be presented and applied to selected scenarios to illustrate the role law and ethics play in health care practice. You'll review the foundations of quality and safety standards, examine administration practices, and discuss the role of all health care workers in creating a culture of safety. What's unique about the Health Care Administration program at Methodist College? As a student of the Health Care Administration program at Methodist College, you will engage in three, semester-long internships in a variety of healthcare settings. These internships will result in a full year of real world work experience, which can allow you to transition seamlessly to a career after graduation. What does a career in Health Care Administration look like? With a career in Health Care Administration, you'll function as an essential leader in a healthcare team. You'll be equipped with the knowledge and skills to manage the day-to-day operations of various healthcare practices, including ambulatory clinics, wellness centers, and medical practices. You'll also engage in the supervision of personnel, strategic planning, and departmental organization. For more information about the program, as well as admission requirements, please contact the Methodist College Admissions Office at 309-672-5513.